The theme for the next meeting of the Waterford branch of the Irish Wildlife Trust on Monday January 14th will be : the Coastal Zone...how to record what you see, a geographer's perspective. 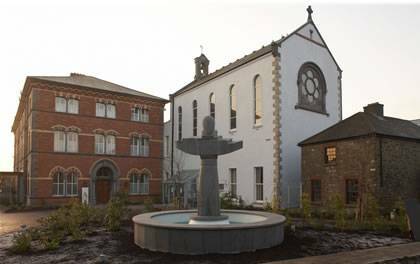 The venue will be the Edmund Rice Heritage Centre, Barrack Street, Waterford at 7.30 p.m. Note: The Branch has had a busy year with individual members also contributing with a number of activities for children and adults. There is much more we would like to do but that always depends on voluntary activity. It is not necessary to commit to be part of the committee to undertake a project. The AGM will be an opportunity to establish priorities and to do that I am asking you to make time to come to the AGM and help develop a plan of activities and priorities for the coming year.